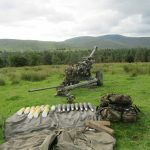 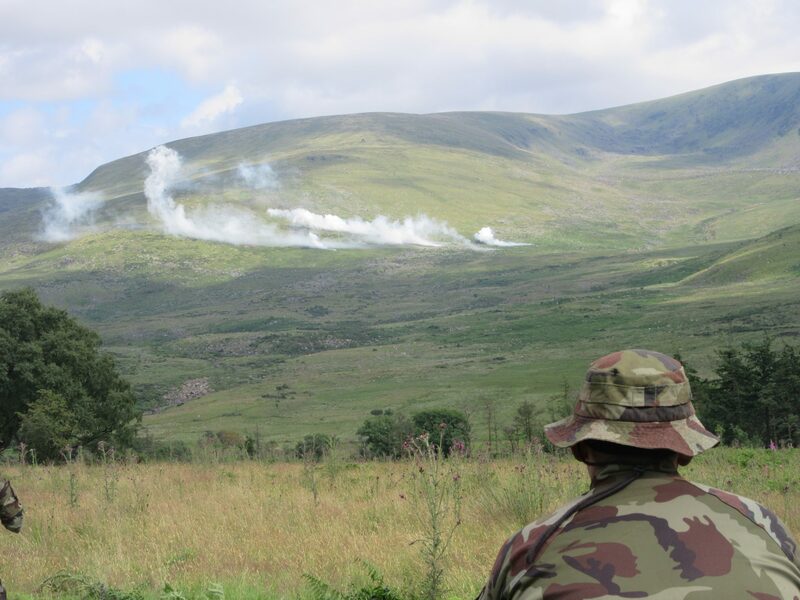 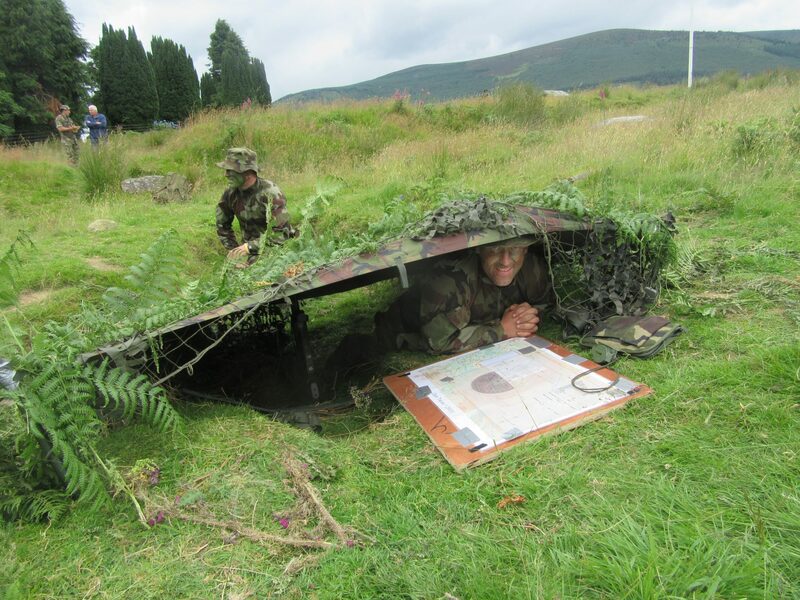 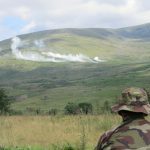 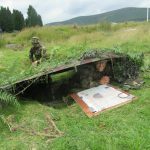 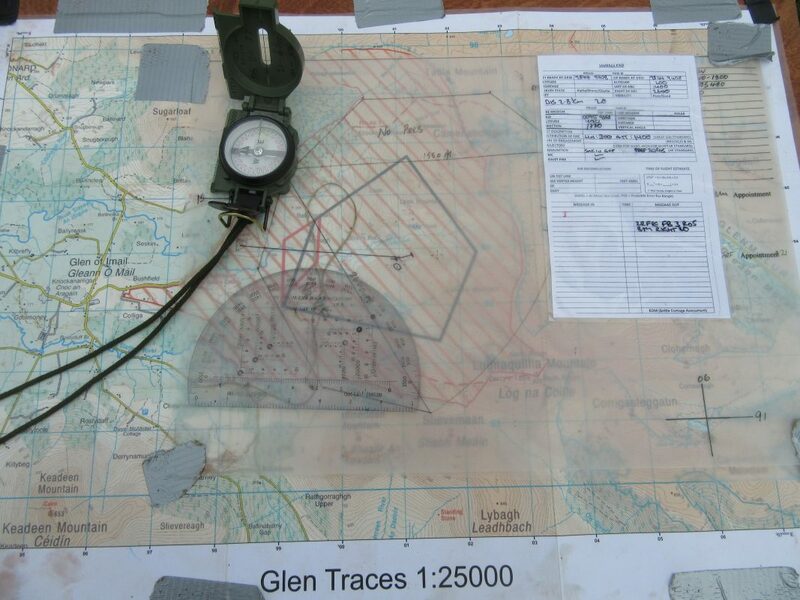 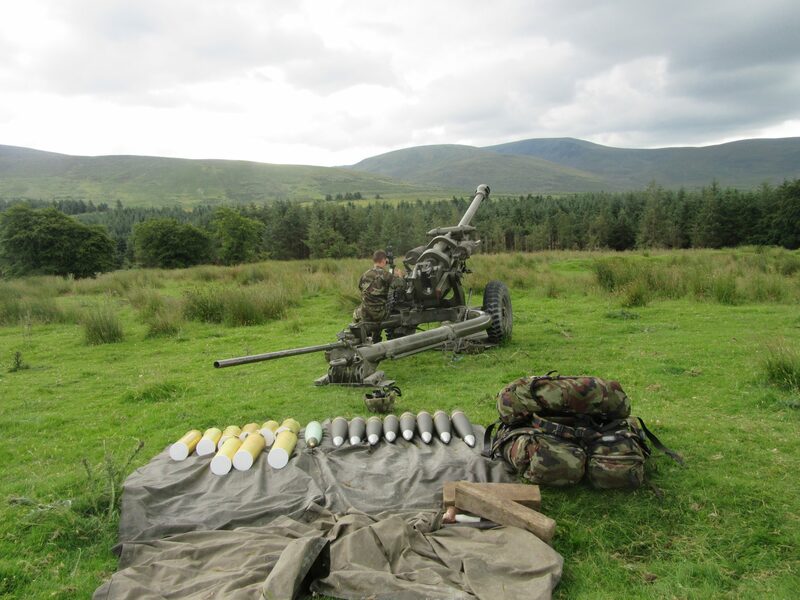 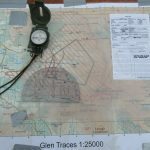 An Artillery Corps Concentration took place in Glen Imaal, from 10 to 13 July, involving 320 gunners approx, fulfilling a number of training and operational requirements for 2017. 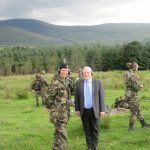 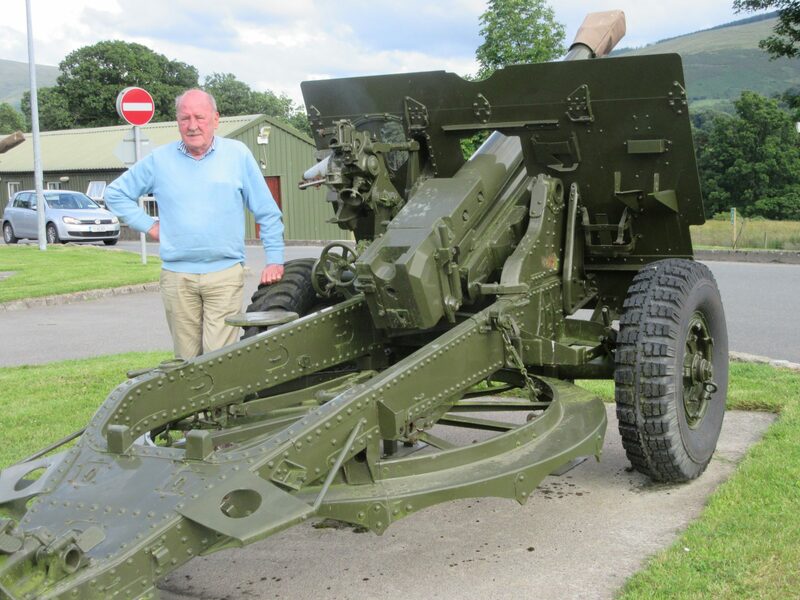 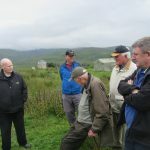 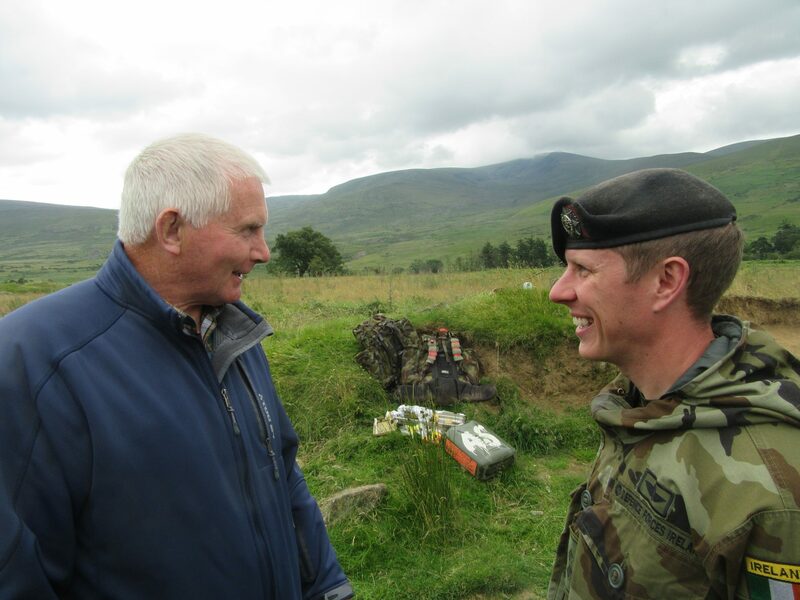 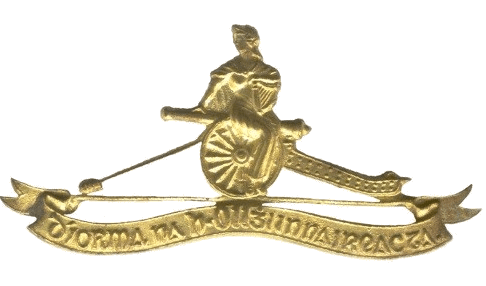 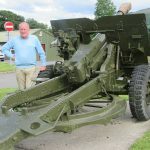 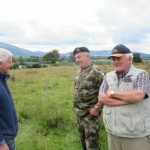 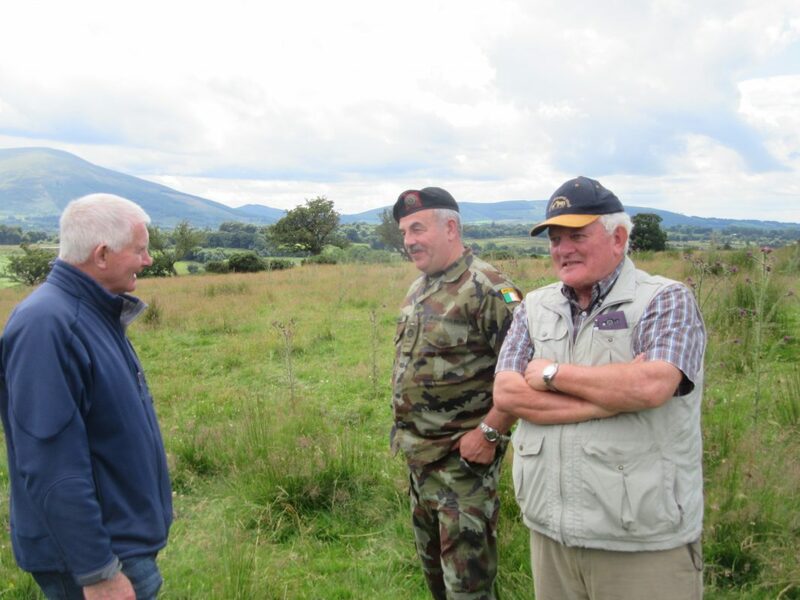 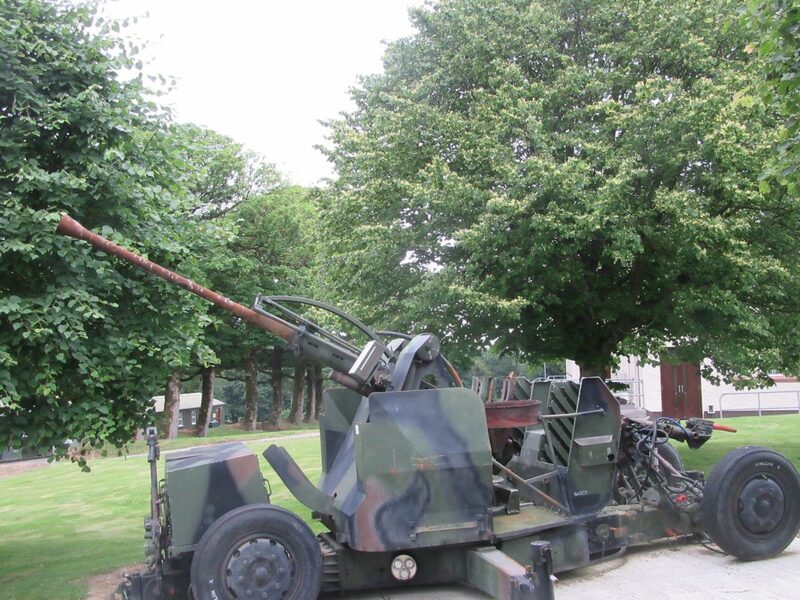 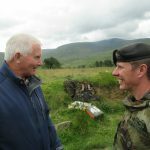 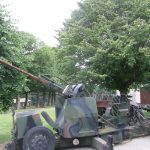 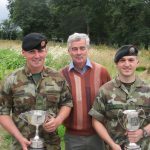 The School Commandant, Lieutenant-Colonel Mervyn Farrell extended an invitation to the Artillery Club to attend the Live Firing Practices on Thursday, 13 July. 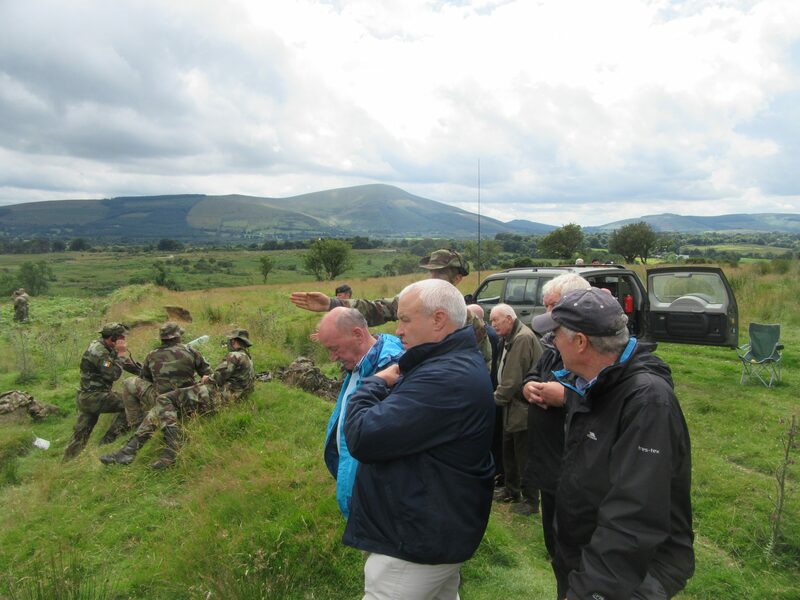 Personnel of the 2 Field Artillery Regiment Association were also in attendance. 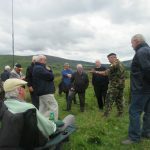 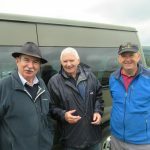 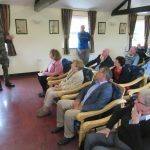 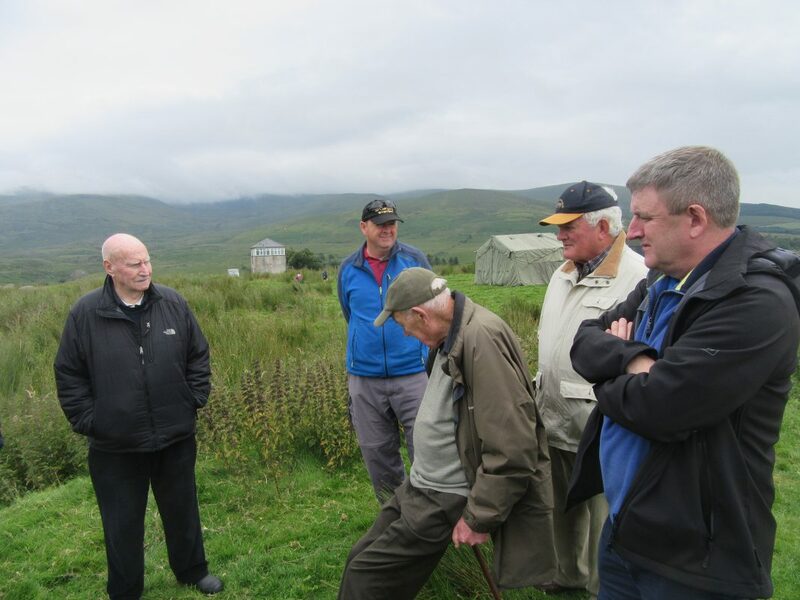 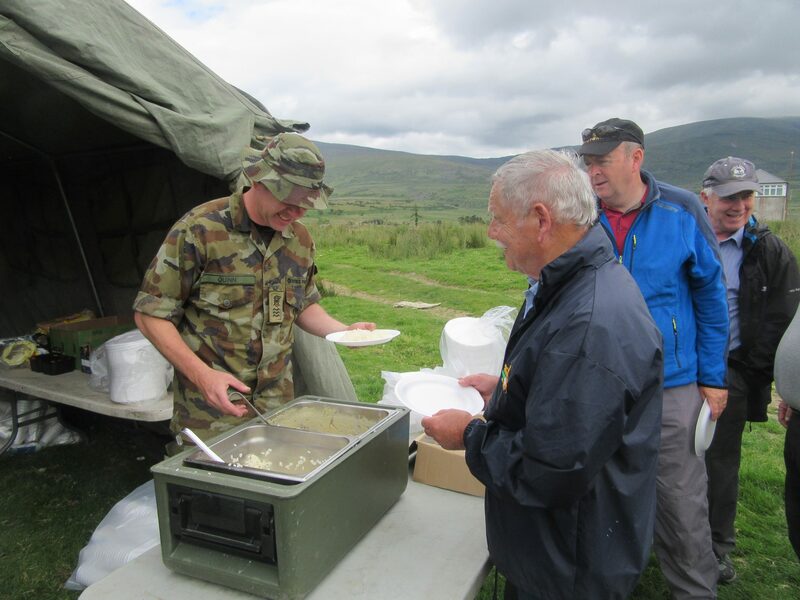 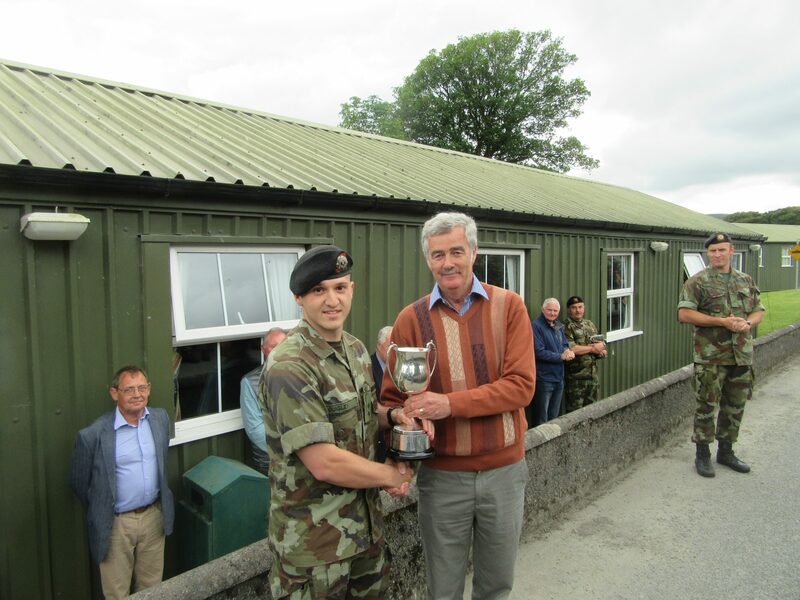 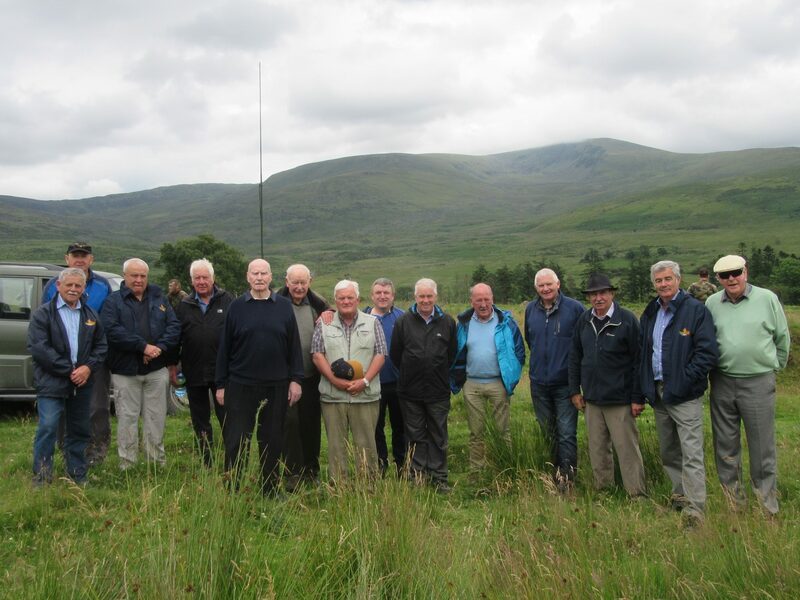 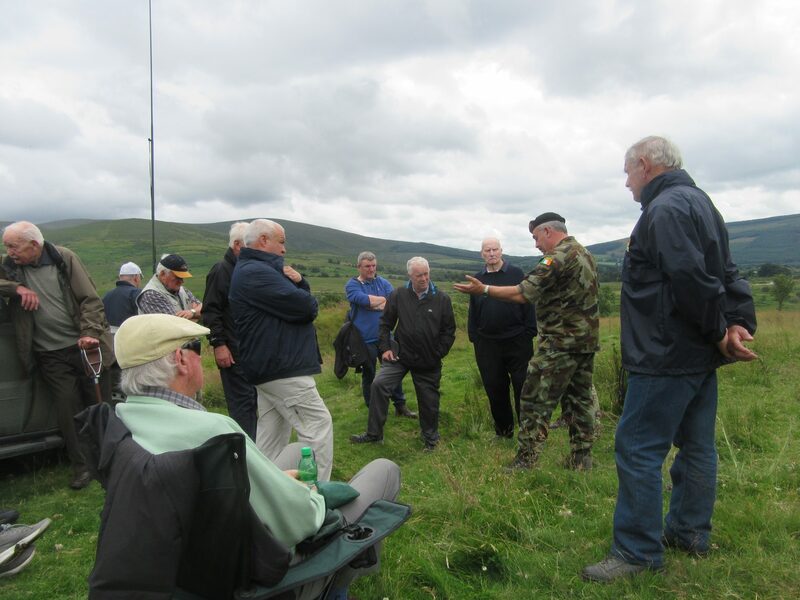 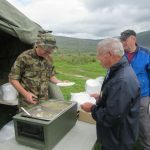 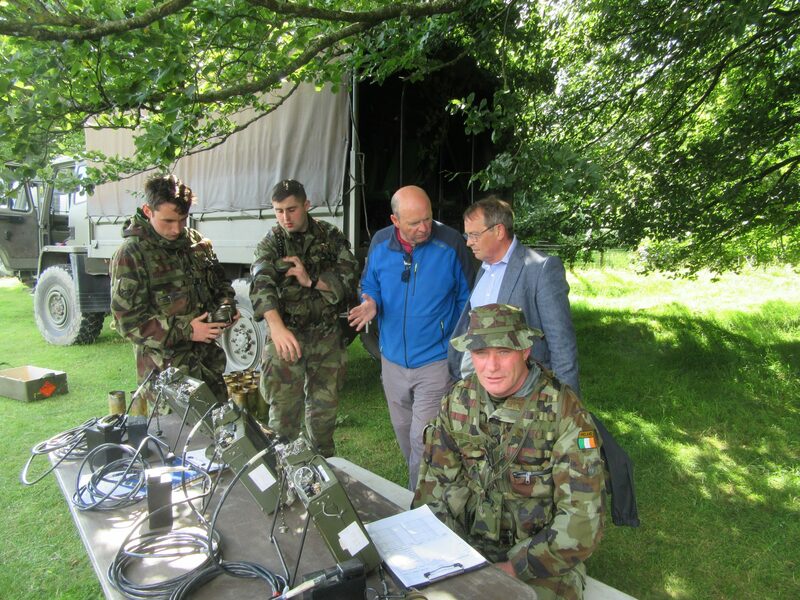 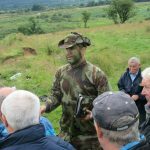 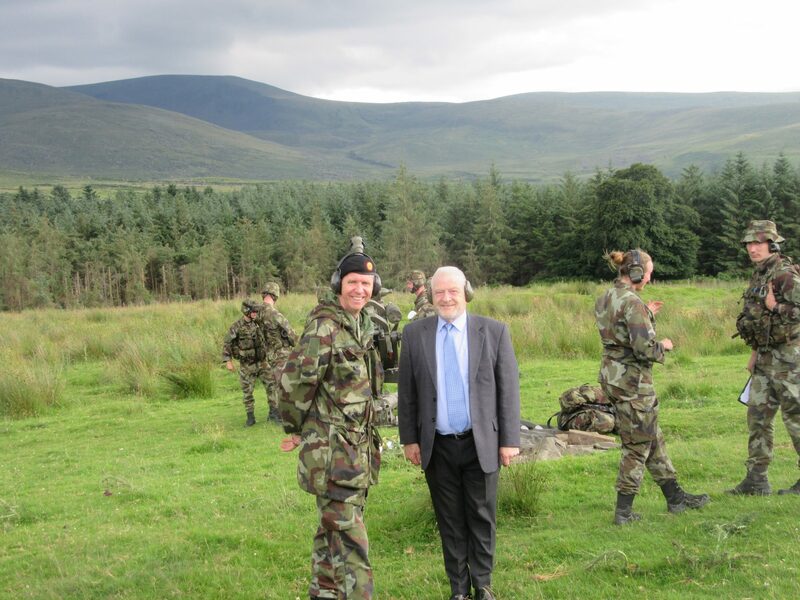 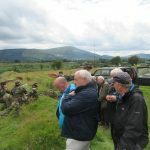 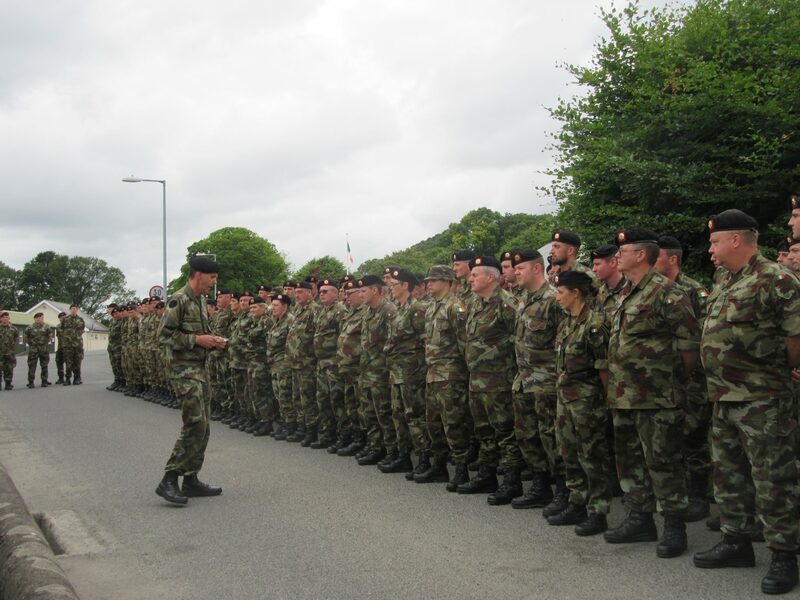 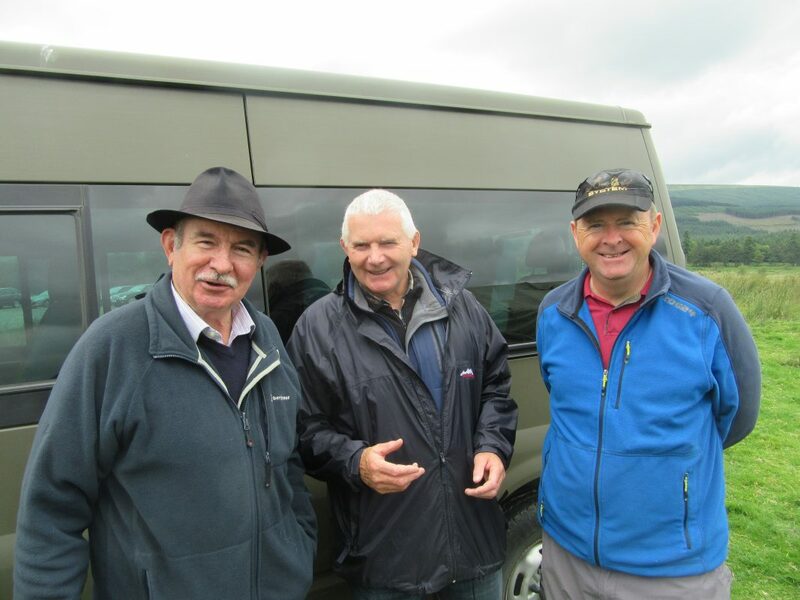 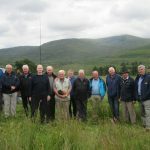 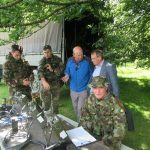 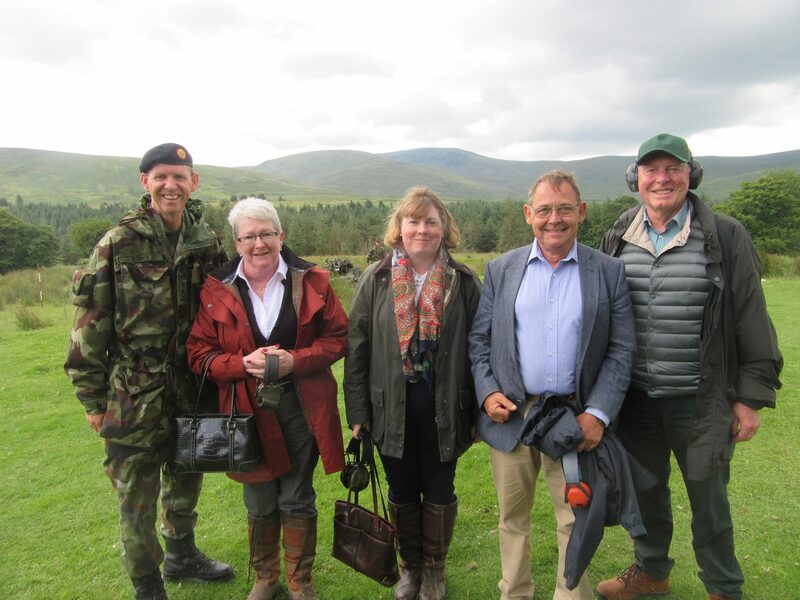 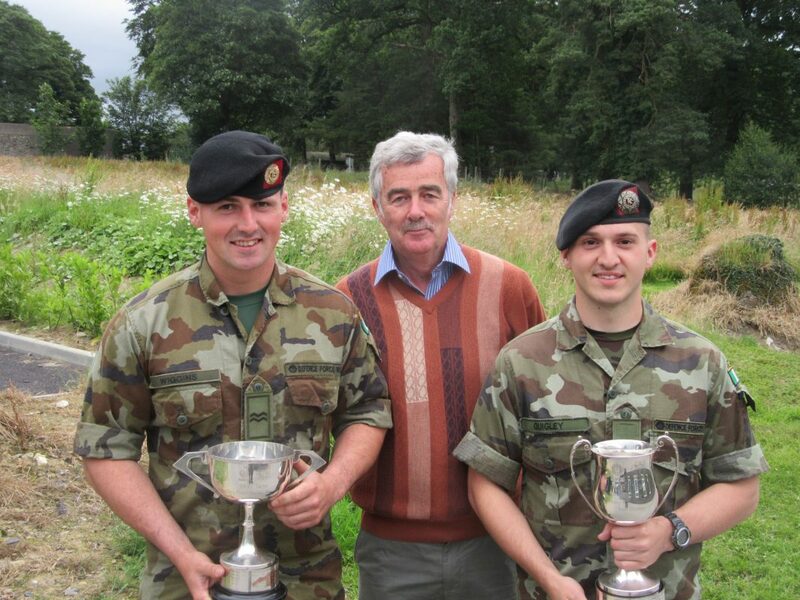 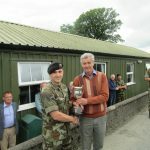 Assembling at Leitrim OP, thirty serving and retried members participated in the Field Trip. 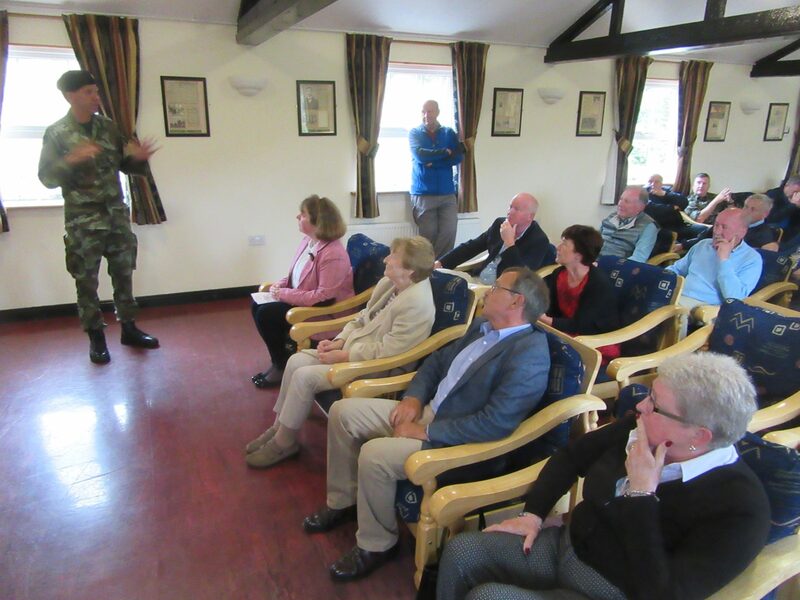 Following a light lunch, Regimental Sergeant-Major John Morris provided an extensive brief on Fire Support Teams. 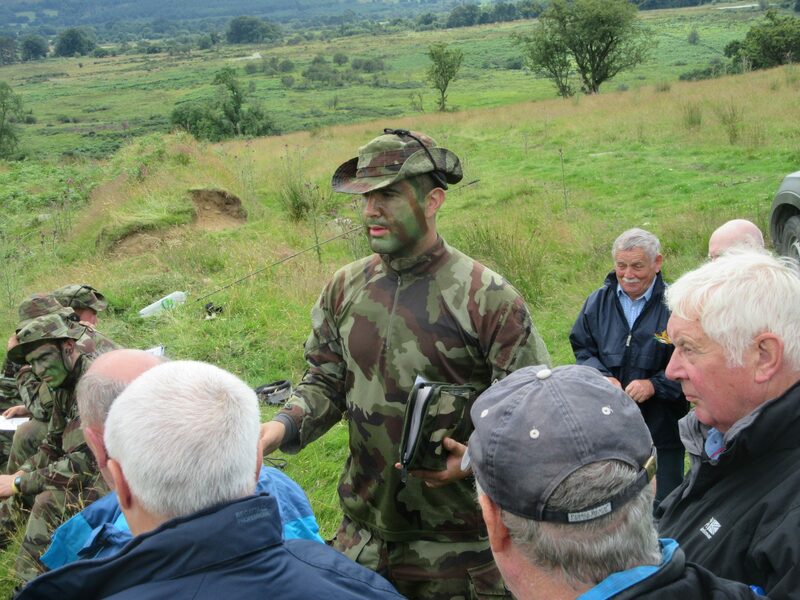 Commandant Greg Burnes was the Club’s host at Stranahely Gun Position. 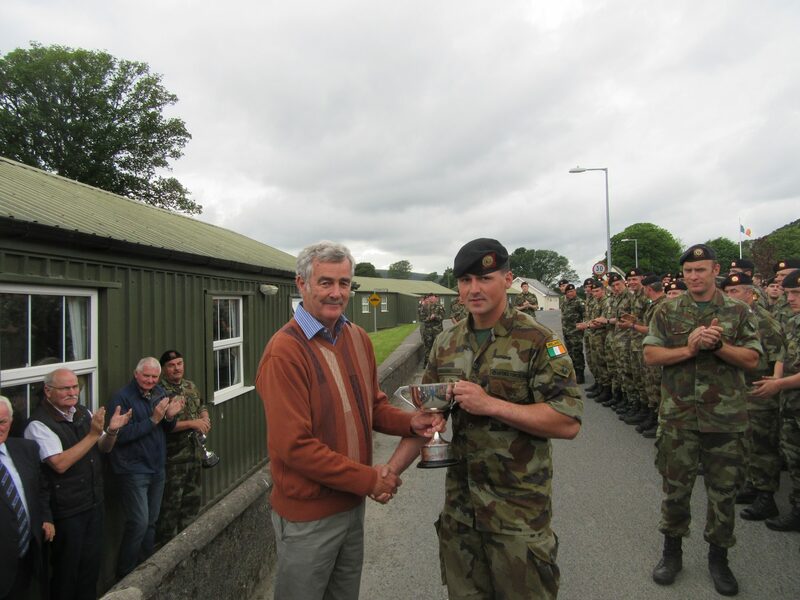 Attendees witnessed Empty Guns, with BQMS Godkin, RQMS Whelan and RQMS Wade firing their Last Round. 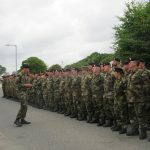 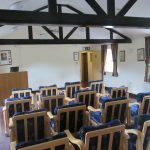 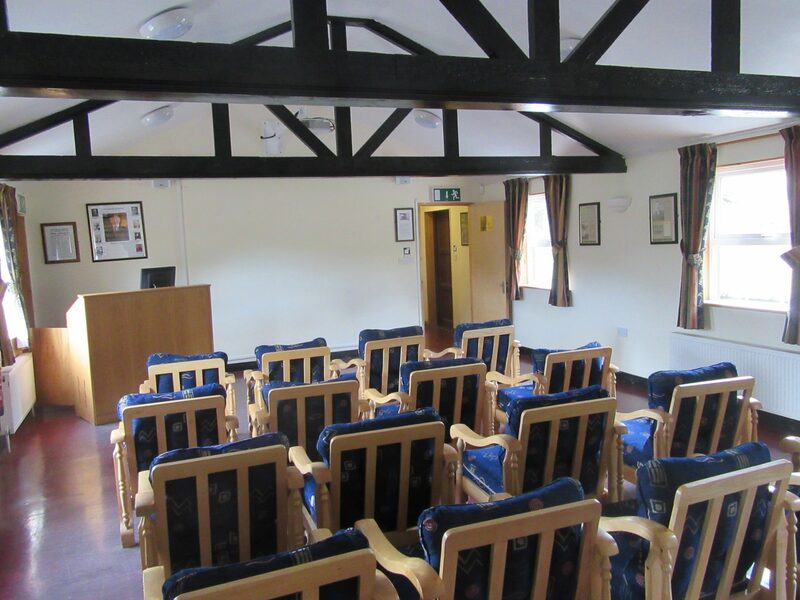 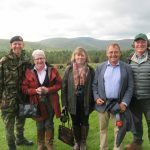 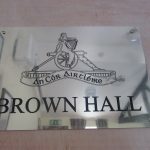 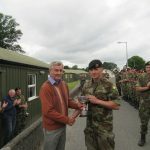 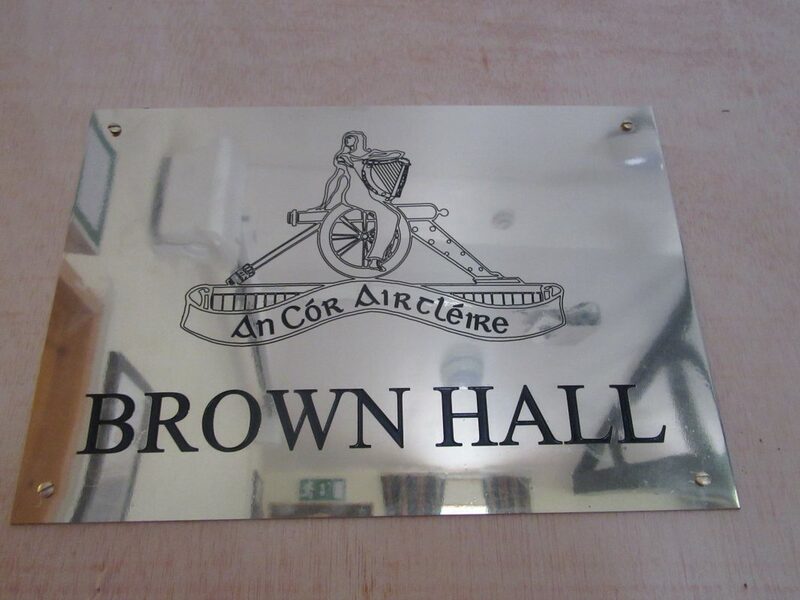 Following the day’s Live Firing Practices, all Artillery Corps personnel paraded in Coolmoney Camp, were addressed by the Director of Training Colonel Ray Yorke, who formally opened the Brown Hall, in the presence of the late Commandant Dave Brown’s wife Mary, daughter Laura and mother.